The primary functions of the Advisory Panel are to analyze mechanisms of interaction of nonionizing radiation with biological systems, including humans, and to identify biological responses and potential human health effects. Evaluations are made of both theoretical and applied aspects of dosimetry and exposure assessment of humans to nonionizing radiation, as well as procedures for mitigating exposure in public and occupational settings. Recommendations are also established on acceptable exposure levels for nonionizing radiation in occupational, medical and public environments. is an independent consultant on electromagnetic field safety issues. Before retirement, he held faculty positions at the Department of Rehabilitation Medicine and the Center for Bioengineering, University of Washington, 1977 to 1985. From 1985 to 1998, he was a Research Scientist and the Director of the Department of Radiation Research with the City of Hope National Medical Center, Duarte, California. In 1998, he joined Motorola, and became the Director of the Corporate EME Research Laboratory in Fort Lauderdale, Florida. He was the Chief EME Scientist with Motorola and Motorola Solutions from 2001 to 2013, where he was responsible for radiofrequency (RF) product safety. Since 1971, his research has been on the biological effects and medical applications of electromagnetic energy. 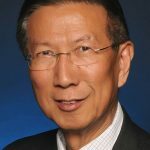 Dr. Chou was on the Board of Directors of the Bioelectromagnetics Society from 1981 to 1984 and an Associate Editor of the Journal of Bioelectromagnetics from 1987 to 2003, and served as the Chairman of the Institute of Electrical and Electronics Engineers (IEEE) / Engineering in Medicine and Biology Society (EMBS) Committee on Man and Radiation from 1996 to 1997, the Co-Chairman of the IEEE Standards Coordinating Committee 28, Subcommittee 4 on RF Safety Standard from 1997 to 2005, the Vice Chairman of the Committee 89-5 of NCRP from 1996 to 1999, and a Council Member of NCRP from 1998 to 2004. Appointed as a Distinguished Lecturer of the Broadcasting Technology Society of IEEE in 2016. Since 2006, he is the Chairman of TC95 of the IEEE International Committee on Electromagnetic Safety, responsible for exposure standards from 0 to 300 GHz. Dr. Chou has authored over 200 peer-reviewed papers and book chapters, and presented 300 conference papers and abstracts, and 240 invited talks. He was a recipient of the First Special Award for the decade (1970 to 1979) from the International Microwave Power Institute in 1981, the Outstanding Paper Award from the Journal of Microwave Power in 1985, the Curtis Carl Johnson Memorial Award from the Bioelectromagnetics Society in 1995, the IEEE Standards Medallion Award in 2005, and the Motorola’s Global Standard Impact Award and the Highest Honor d’Arsonval Medal from the Bioelectromagnetics Society in 2006. He is a Life Fellow of IEEE (Fellow in 1989), a Fellow of the American Institute for Medical and Biological Engineering in 1996 and the Electromagnetic Academy in 2007.
was employed by the U.S. Environmental Protection Agency (EPA) for 28 y (1973 to 2001) and at the time of his retirement in 2001 he was a Senior Scientist and Special Assistant to the Associate Director for Health, National Health and Environmental Effects Research Laboratory in Research Triangle Park, North Carolina. 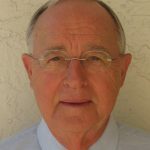 He was Director of the EPA radiofrequency (RF) biological effects research program in the early 1980s and is principal editor of the 1984 EPA report entitled Biological Effects of Radiofrequency Radiation, a comprehensive review of the world’s literature on this subject. He was leader of the EPA team who reviewed the proposed regulations that led to the 1996 Federal Communications Commission regulations on RF exposure. He has served on technical review panels for the Harvard Center for Risk Analysis, Food and Drug Administration (FDA), National Institute on Occupational Safety and Health, and U.S. Navy; served on the World Health Organization committee that developed the RF Research Agenda; reviewed a number of RF systems/facilities including the U.S. National Weather Service radar system and PAVE Phased Array Warning System. He was a member of the NCRP (1983 to 1989) and the FDA Technical Electronics Products Radiation Safety Committee (1996 to 1998). 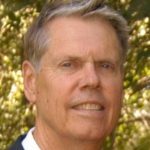 He is a charter member of the Bioelectromagnetics Society and has served on the Board of Directors. After retiring from EPA, he worked at Motorola until 2009 on the Electromagnetic Energy team. As a member of Subcommittee 4, Institute of Electrical and Electronics Engineers (IEEE) International Committee on Electromagnetic Safety, he helped develop the 2005 revision of the “IEEE Standard for Safety Levels with Respect to Human Exposure to Radio Frequency Electromagnetic Fields, 3 kHz to 300 GHz.” He is currently self-employed part-time as a consultant on RF bioelectromagnetics issues. earned a BS in physics from Michigan State University (1967), an MS in physics from Indiana University (1968) and a PhD in physics from Indiana University (1971). From 1971 through 1976, he served as a Lieutenant in the U.S. Naval Reserve, doing research on biological effects of radiofrequency (RF) energy at the Naval Medical Research Institute and later at the Armed Forces Radiobiology Research Institute (both in Bethesda, Maryland). From 1976 he has been at the University of Pennsylvania, where he is presently Professor of Bioengineering. His research relates to the interaction of electromagnetic field (EMF) with biological systems, ranging from biophysical mechanisms of interaction to medical applications to exposure assessment. He has been involved for many years with organizations involved with health effects of EMF, including a year spent at the EMF Project with the World Health Organization in Geneva, which is concerned with possible health effects of electromagnetic fields. He has had long standing membership (since 1998) on the Institute of Electrical and Electronics Engineers (IEEE) International Committee on Electromagnetic Safety which sets limits for human exposure to EMF. In addition, he serves on the Physical Agents Committee of the American Conference of Governmental Industrial Hygienists which sets limits for occupational exposures to EMF, and served in the National Council on Radiation Protection and Measurements, the IEEE Committee on Man and Radiation and other organizations involved with health and safety issues related to exposure to RF energy. He is a Fellow of the IEEE and of the American Institute of Medical and Biological Engineering and served as President of the IEEE Society on Social Implications of Technology from 1996 to 1998. He is presently a Distinguished Lecturer for that Society and gives lectures worldwide on a variety of topics, including health effects of RF energy. He has published more than 100 scientific papers in peer reviewed journals on a broad range of issues related to this topic as well as to medical applications and human exposure levels to RF energy. is Vice President for Research at Brown University and Professor of Epidemiology in the Brown University School of Public Health, with a joint appointment in Obstetrics and Gynecology in the Alpert Medical School. His epidemiological research has addressed a wide range of many important public health issues including environmental hazards in the workplace and community, reproductive health outcomes, and environmental influences on cancer. He has done extensive work on health effects of nonionizing radiation, pesticides, drinking water treatment byproducts, and perfluorinated compounds. He has directed 30 doctoral dissertations and 15 master’s theses. He is the author of nearly 350 papers in professional journals and editor or author of three books. 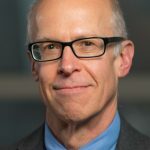 He has served as editor at the American Journal of Epidemiology and as a member of the Epidemiology and Disease Control-1 study section of the National Institutes of Health and currently is an editor at Epidemiology. He was President of the Society for Epidemiologic Research and the Society for Pediatric and Perinatal Epidemiologic Research and North American Regional Councilor for the International Epidemiological Association. Dr. Savitz is a member of the National Academy of Sciences Institute of Medicine. 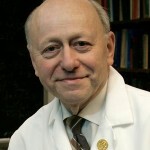 He came to Brown in 2010 from Mount Sinai School of Medicine, where he had served as the Charles W. Bluhdorn Professor of Community and Preventive Medicine and Director of Disease Prevention and Public Health Institute since 2006. Earlier, he taught and conducted research at the University of North Carolina School of Public Health and at the Department of Preventive Medicine and Biometrics at the University of Colorado School of Medicine. Dr. Savitz received his undergraduate training in Psychology at Brandeis University, a Master’s degree in Preventive Medicine at Ohio State University in 1978, and the PhD in Epidemiology from the University of Pittsburgh Graduate School of Public Health in 1982.
has served as a consultant on radiofrequency (RF) safety matters at Richard Tell Associates, Inc. for the past 29 y. Prior to establishing his own consulting practice, he served for 20 y at the U.S. Environmental Protection Agency in its Office of Radiation Programs as chief of the Electromagnetics Branch where he was responsible for the evaluation of RF instrumentation and carrying out environmental studies related to exposure of the general population to ambient RF fields. In his own practice, Mr. Tell is involved with exposure assessments associated with a wide range of RF sources, measurement and theoretical analysis of RF fields, development of RF safety programs, and carries out research related to RF hazards and RF dosimetry. He has authored approximately 90 reports and papers in the public domain. Mr. Tell formerly served as Chair of NCRP Scientific Committee 89-2 that produced NCRP Report No. 119, A Practical Guide to the Determination of Human Exposure to Radiofrequency Fields. He is an elected Life Fellow of the Institute of Electrical and Electronics Engineers (IEEE) and has participated in the IEEE standards development process for RF safety standards since 1970. He is Chair of the IEEE International Committee on Electromagnetic Safety Subcommittee 2 on Terminology, Units of Measurements, and Hazard Communications that developed the first "IEEE Recommended Practice for Radio Frequency Safety Programs, 3 kHz to 300 GHz" as IEEE Standard C95.7. 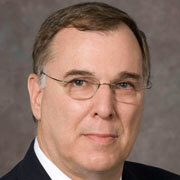 Mr. Tell also serves as the Chair of the IEEE Committee on Man and Radiation.